Ale, cheddar and thyme bread | dash.drizzle.dollop.devour. Its been a while hasn’t it? I’m not sure where August disappeared to. A flurry of weekend trips and late nights in the office mean that I’ve barely cooked anything more than the occasional buttery corn on the cob in the last month. So here I am, staring at September, feeling distinctly unready for Autumn. Surely there should be a few more weeks of long evenings to light up the BBQ or take a stroll eating ice cream? And my goodness Autumn has begun in full force – the damp, grey days mean I’m actually pretty grateful to shut the curtains at 8pm. Anyway, if grey days are to have their consolation, it’s the excuse to bake. 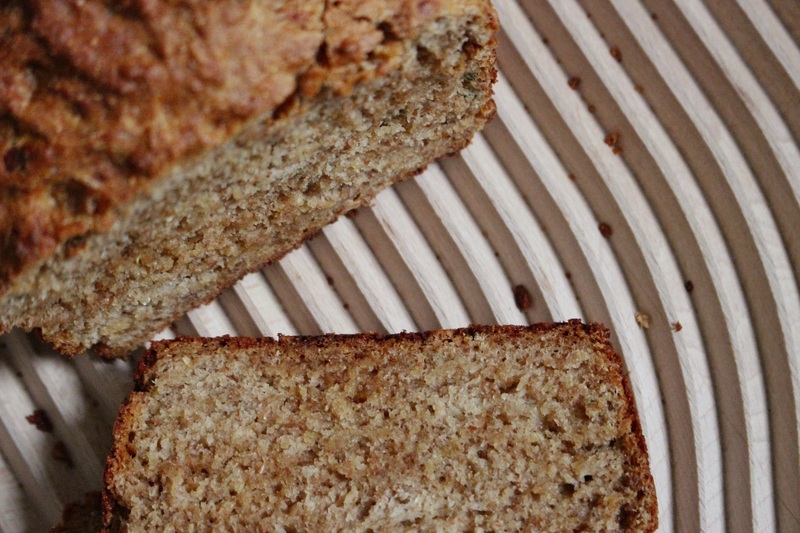 A sofa day needs carbs and fast, so this yeast-free loaf was the perfect thing to get me back in the kitchen. One of my August weekend trips was to Winchester, a very pretty city, just an hour or so from home. I rarely go and visit random bits of England, I don’t really know really. Maybe it’s that it’s always there, I could go anytime, any weekend, which seems to translate into never going at all. But for once, impetus got the better of me, so Winchester it was and we happily came across a lovely old watermill which still grinds flour to this day. I do like a bit of manufacturing. Watching the water churning the wheels and the cogs, the whole building vibrating with the effort, with the fine flour floating out at the end is very gratifying. Such beautifully unprocessed and unrefined flour – I had to buy a bag, of course. I rarely bake with wholemeal flour. I rarely eat wholemeal bread either. I’m very much a fan of those dense rye breads you find in lots of Scandinavia, but a simple brown sliced loaf doesn’t do it for me. So to use this flour well I knew I wanted something moist and tightly crumbed. Using beer to bake a bread has the advantages of making a quick loaf with a great texture and that’s packed with flavour. 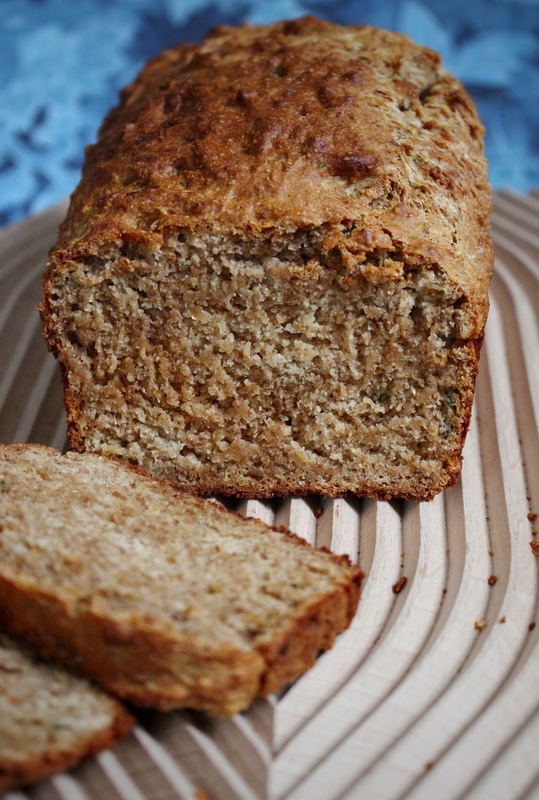 The flavour of a beer bread is totally driven by the beer that you use, so choose wisely. Pick a lovely beer that you would happily drink a pint of, because that will be the prominent flavour of your loaf. Preheat your oven to 160C (Fan). 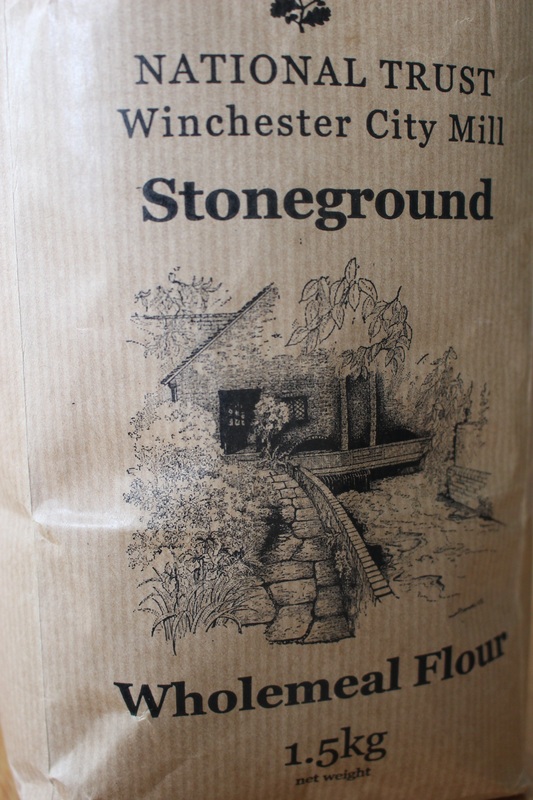 Start by weighing 275g wholemeal flour and 130g plain white flour into a bowl. Add a good teaspoon of salt and 4.5 teaspoons of baking powder and stir to combine. 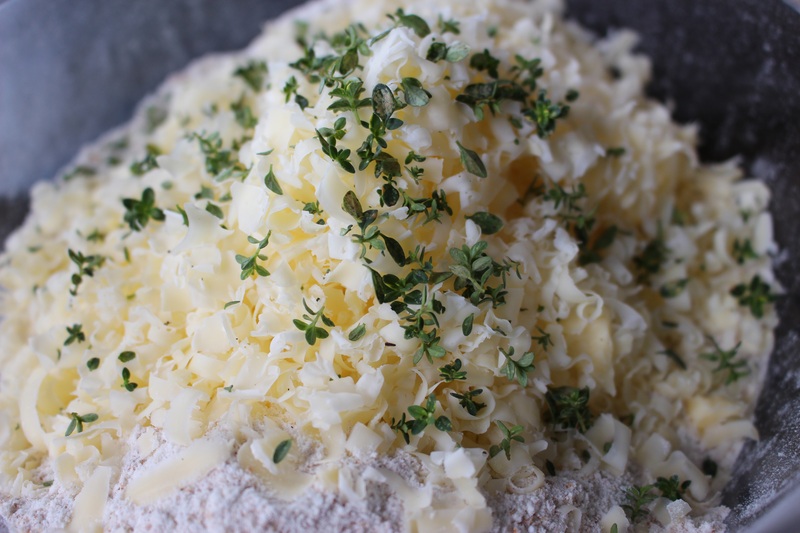 Grate over 75g mature cheddar cheese and add the leaves of a small bunch of thyme. Finally pour over a 350ml bottle of IPA or ale and add a generous tablespoonful of malt extract or honey. Stir everything together until you have a lovely sticky dough. The dough will be fizzing away from the beer reacting with the baking powder. Spoon the dough into a loaf tin, or I guess you could make a freeform round on a baking sheet. Bake for 50mins to 1 hour until there is no uncooked dough left in the middle when tested with a skewer. Turn out of the tin and leave to cool for half an hour before slicing. The flavours of this bread make it a delight with even more cheese, pickle and beer. I made some excellent cheese on toast with it and it kept well for a day, until we managed to finish it. 350ml bottle IPA or other beer. Makes 1 small loaf. Takes about 1.5 hours from start to finish, plus cooling time.